Posted October 2, 2013, in News. Wednesday, October 2, 2013, from 12:10-1:10 PM in the Seminar Room in 429 Cooper Street. 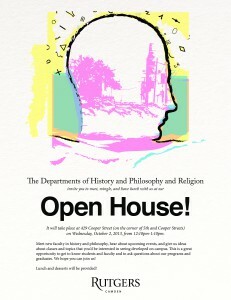 Meet new faculty in history and philosophy, hear about upcoming events, and give us ideas about classes and topics that you’d be interested in seeing developed on campus. This is a great opportunity to get to know students and faculty and to ask questions about our programs and graduates. We hope you can join us! Lunch and desserts will be provided. Page last updated by Department of Philosophy and Religion at 12:18 pm March 18, 2014 . 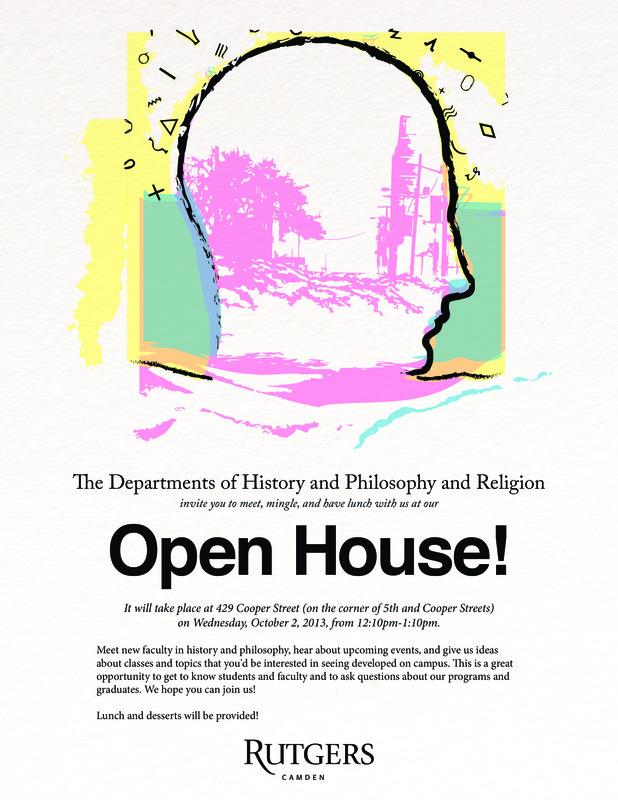 This page was printed from http://philosophyandreligion.camden.rutgers.edu/2013/10/02/open-house/ at 3:45 PM Friday, April 26, 2019.